This notice informs taxpayers of their business personal property filing obligations for 2018. 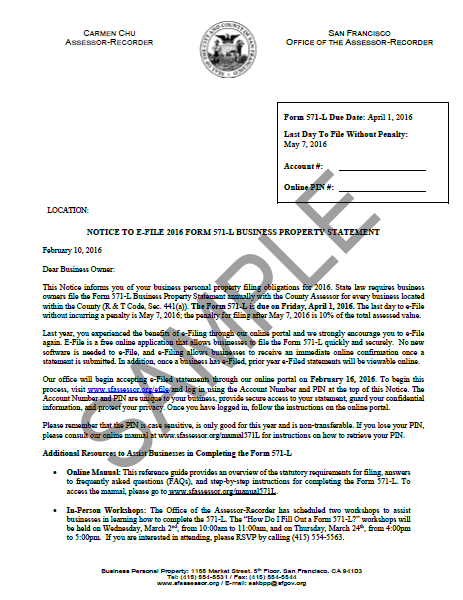 State law requires business owners to annually file a Form 571-L (Business Property Statement) with the County Assessor for every business located within the County. The Form 571-L Business Property Statement is due on Monday, April 2, 2018.